To compliment our superb Squid Ink range this wine is produced solely from fruit from our Squid Ink vineyard but made in the older style. 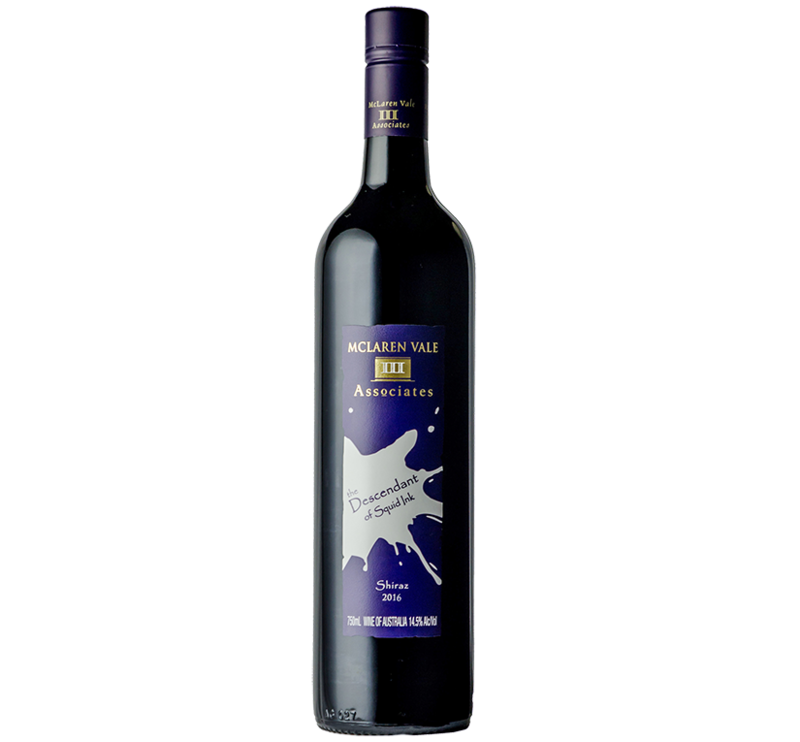 94pts James Halliday Wine Companion 2019 – Matured for 9 months in 4yo oak previously used for Squid Ink that acts as a framework for this full-bodied rendition of McLaren Vale shiraz. 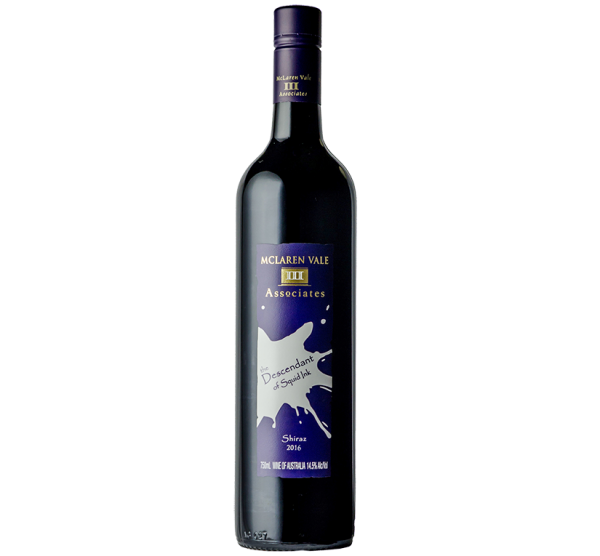 It has layers of black fruits, licorice and upright tannins – all with a coat of bitter dark chocolate on the finish. ‘The Descendant of Squid Ink’ is essentially the younger sibling of the ‘Squid Ink’ range. It represents a style that is more about expression of fruit with a minimal influence of oak and is a wine to be enjoyed in a more youthful state. This fruit driven style has becoming more popular in recent years from all growing districts around Australia. This Estate owned single vineyard really is the epitome of what defines one of the greatest vineyards in Australia, where the famous Black Bay of Biscay Clay soil ensures fantastic depth of colour and concentration. Positioned at about 120m above sea level and 8kms inland this North/ South facing vineyard is in the heart of McLaren Vale. We pride ourselves in sustainable viticulture practices and having true respect for the value of our vineyards and the fruit they create. Monitoring and measuring the vines is a crucial part of maintaining fruit quality of this level with a key focus being on the soil health and how this impacts the vine, the fruit and in turn the wine and the experience. The fruit for this wine is picked a little earlier to ensure a slightly lower alcohol level. In the winery The Descendant of Squid Ink Shiraz fruit is treated with utmost respect, ensuring quality from start to finish. With a 2 day cold soak prior to a slow cool fermentation for gentle extraction colour, flavour and tannin extraction are closely monitored with different fermentation cap management applied accordingly. Following fermentation, the wine is then matured in a special selection of the finest 4 year old seasoned American oak Hogshead (300L) oak barrels for 9 months. Deep red with vibrant purple hues. Deep dark fruits with some black olive, earthy complexity entice the senses followed by complementing dusty oak characters. Fresh vibrant fruit coats the mouth, complimenting the gentle, soft furry tannins and spice that line the mouth and leave a lasting impression. High rainfall and lower than average temps throughout winter and spring resulted in welcomed saturated soils and a slower than average start to the season. Late budburst by about a week extended flowering and slowed maturity. A cool summer made for a very slow ripening period. Drink now or cellar for 7+ years. One of the best shiraz ever tasted. Hands Down.